"Star Wars: The Last Jedi" made $104.7 million on Friday, making it the second highest opening day of all time. Box office numbers for the opening day of Episode VIII are second only to its prequel, "Star Wars: The Force Awakens," which made $119 million when it opened in 2015. The Thursday night box office for "Last Jedi" is rolled into Friday. "The Last Jedi" opens in more than 4,100 theaters domestically this weekend. The movie will likely come up short against the opening for "The Force Awakens," but Friday's box office windfall bodes well for the space franchise as it heads into the weekend. The box office record for an opening weekend belongs to "Force Awakens," which premiered to $248 million two years ago. Living up to the galactic hype of its predecessor is a challenge for "Last Jedi," but the film looks to be up for it. "The Last Jedi" is getting rave reviews from critics. Related: Will 'Star Wars: The Last Jedi' beat 'The Force Awakens' at the box office? The film holds a 93% score on review site Rotten Tomatoes. 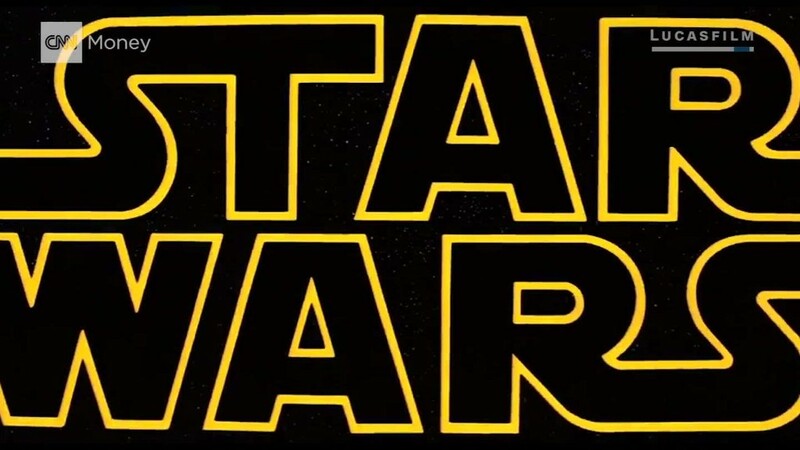 Some critics have said the film, which is directed by Rian Johnson, is the best in the series since 1980's "The Empire Strikes Back," which is considered by some to be the best "Star Wars" film. The saga's eighth installment stars Daisy Ridley, Mark Hamill and is the final on screen performance for Carrie Fisher, who died unexpectedly last year.